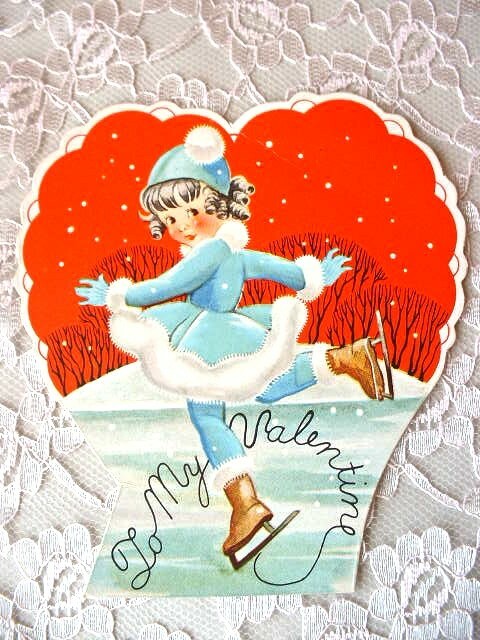 A favorite holiday hobby of mine is looking at vintage cards, and Valentine's Day does not disappoint. 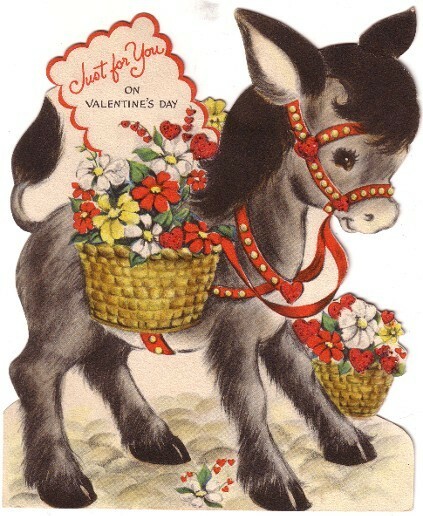 You can find all sorts of greetings - from the cutesy to the strange - in Valentine's Day cards. But they're mostly just cutesy. And awesome. I found this little guy at an antique mall last weekend. 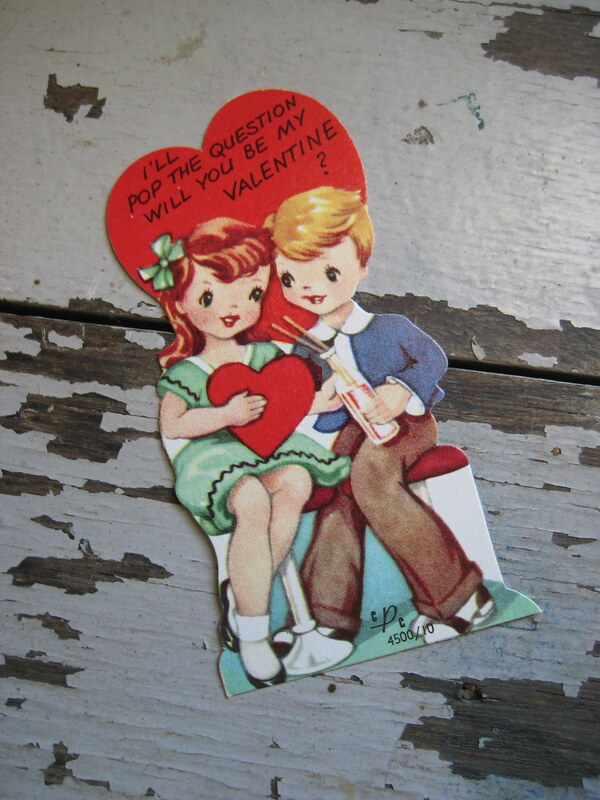 If you're looking for a card that's a little less old, Urban Outfitters offers some great wooden sweethearts. 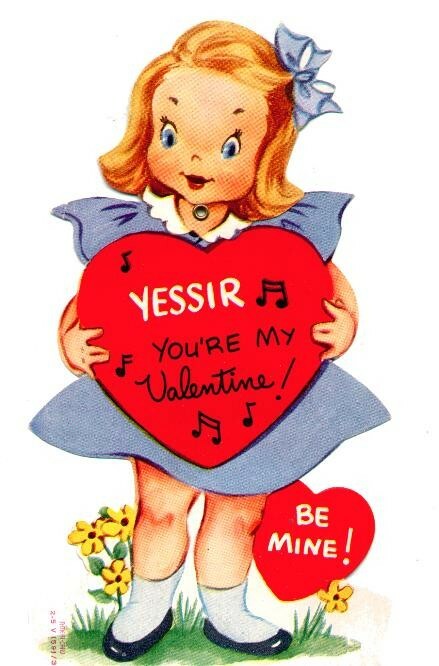 And you can always opt for something a bit more anatomically correct. shop update! 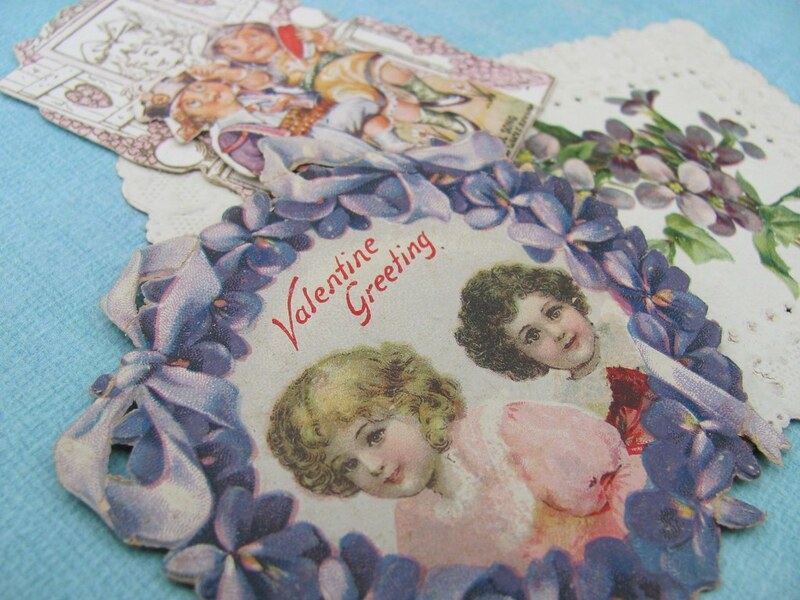 valentine's day lace and velvet.